As we near the time for graduation, I cannot help reflecting on the tremendous advantage our graduating students have upon entering high school. The education they have received at St. Martin of Tours Academy, both academically and spiritually, is exceptional and of the highest quality. The Pilon® Workshop Way® system of education, their daily religious instruction and the teaching of both academic and life skills have prepared them well for their future goals. The teachers, staff and I are extremely proud of the Class of 2017, and we wish them much success in high school and beyond. Sanchez, Maira Quintanilla & Wayne George, Eren & Phillip Serrato, Eve & John Sotelo, and Michelle & Michael Yoxsimer. increase dramatically. I personally see this when our “alums” visit us and tell of their accomplishments or when a parent calls and is bursting with pride because their child has been honored in high school or college. Some recent “testimonials” are posted on the school website and under Alum of the Month. This month we featured Aaron Johnston from the Class of 2003. He is our bookkeeper’s son. I hope you check this out. Enclosed you will see many of our students listed who have received special recognitions, honors at entrance and/or scholarships and where they will be attending next year. You are all invited to the Graduation Mass next Friday, June 16th at 3pm to celebrate the Class of 2017. We extend a special thank you to LeeAnn Iagmin, Cory McMahon and Jacqui Valdivia who spent many hours of their time setting up the SMA sites under: ClassBundl.com, Amazon Smile and Benefit App. These companies give a percentage of your sales back to the school. A flyer is enclosed and links will be sent to everyone by email. You may also access these website pages directly from our website (home page). We hope you will sign up and encourage your family & friends to also sign up and support our school. Every purchase counts! We have 35 yearbooks remaining. Please consider purchasing one. The yearbooks are NOT a fundraiser. We are very grateful to those who sponsored our book. The actual cost of the book is $30. Consider purchasing one for a grandparent or a sibling if your family only purchased one book. These hardcover, color books are a life-time keepsake. Please watch your email for a “Survey Monkey” regarding the after school classes offered at SMA. Your feedback is important to us. We thank Reina Castro for creating our on-line surveys for us. Thank you to Anna Kennedy who has “run” the Morning Fun Run at SMA for several years! On Tuesday and Thursday from 7:30-7:55am Anna supervised over 80 students this school year collectively walking/running over 3000 miles. She hopes students keep up the exercise over the summer and looks forward to seeing everyone next school year every Tuesday and Thursday @ 7:30am. √ School Mass tomorrow at 8:30am (dress uniform) The Class of 2017 has prepared the Mass. School packets, including report cards, will be ready for pick up on Friday, June 16th (8am-12pm). Pick them up in the morning in the school office or stop by the table in the parking lot at noon dismissal. The packets are distributed to adults only. All rate 2 families need to be signed up for shifts for the 2017-2018 school year by this date. Please use the new sign-up link (listed on the service hour page after log-in). See enclosed flyer on how to sign up and support our school. Links to these sites are on the home page of our school website. 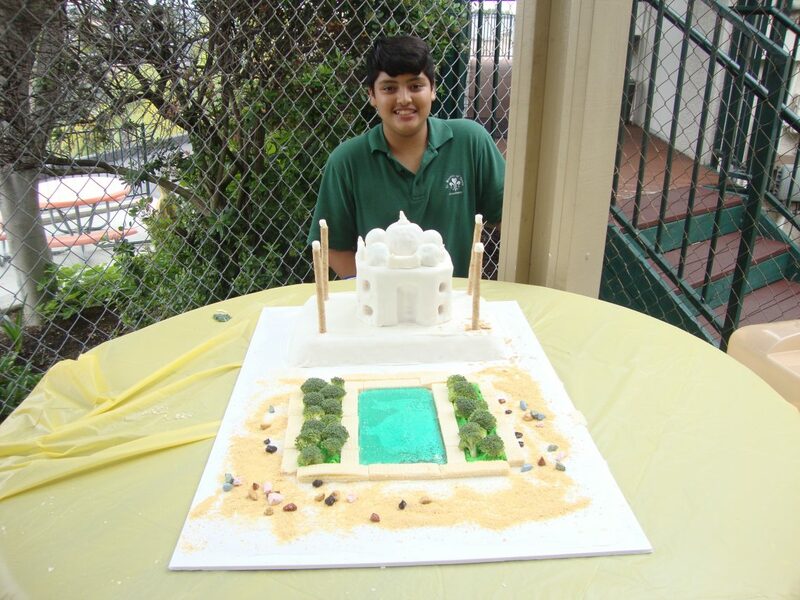 As part of architecture units in art class, students created edible versions of famous landmarks. importance of family. 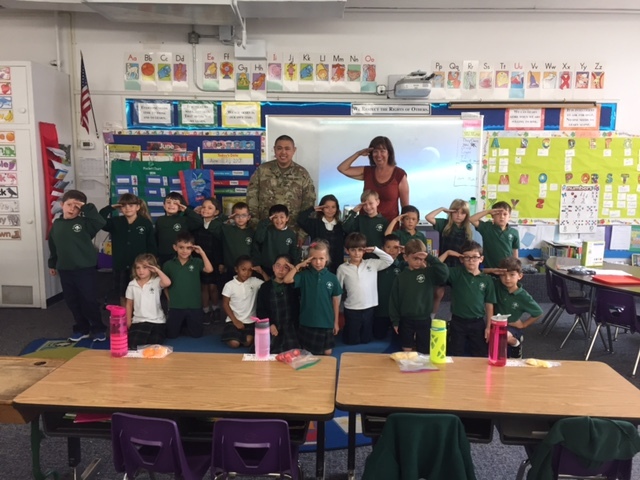 He also showed the class how to do a salute and a push-up! 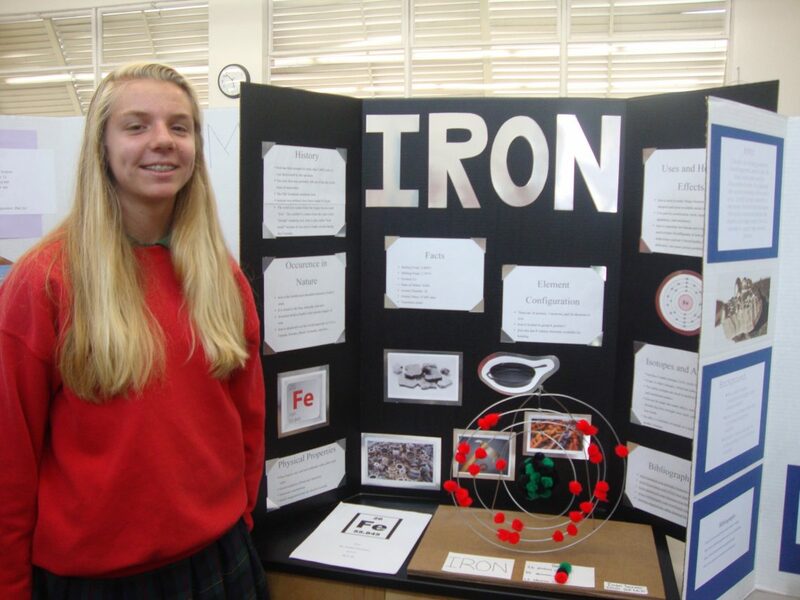 Students in grade 8 presented to each class their element project. Please keep in your prayers John Dimuzio for healing.